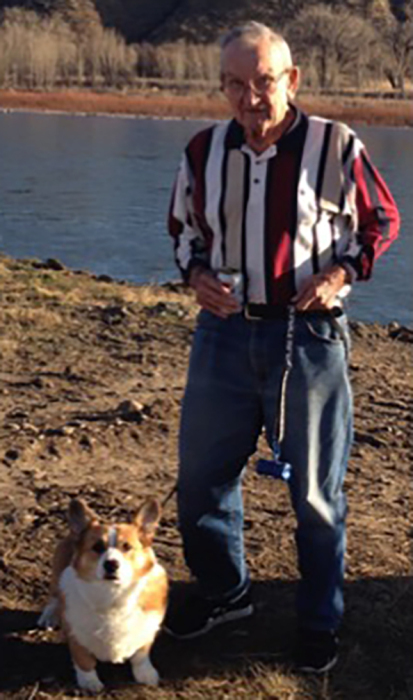 Joseph Martin Beery of Great Falls, MT, 89, passed away September 11, 2018. Cremation has taken place and no service is planned. Born in French Creek, WV on August 25, 1929, Joe was the only son of Howard B. (Pete) Beery and Ruth Brenise Cheuvront. Since coal mining wasn’t favored, Joe joined the Air Force, retiring as a Senior Master Sergeant after 28 years. After retiring from the State of Montana, Joe relished fishing for wily trout in the small streams he favored. Joe married Eunice Marie Jensen on February 12, 1950 in Great Falls after two weeks of courtship. Two days after they wed, Joe flew to Alaska to Eielson AFB. Eunice passed on March 16, 2006. Joe’s dog, Joey, was his faithful companion. Measured by love and kindness, his was a life well lived. Joe was an inspiration for how to be a good person. Joe was the last of his family and the last Beery in his line. He is preceded in death by his parents; wife; seven sisters, Lois Minchew, Lovera Van Dyke, Lucille Carpenter, Vera Lee Kisner, Mary K. Jackson, Louise Keller, and Patty Kettlewell. He is survived by his daughter, Candace Beery; cousin, Lois (Crites) Beery; his sisters’ children, Doug and Barry Jackson, Thomas and Robert Carpenter, Arlington Kisner, Sally Jo Boyce, Becky Hall, Tammy Clevenger, Betty Jo Keller, and Christi & Bradley Kettlewell. Much gratitude and appreciation to caregivers at Renaissance Senior Care, Peace Hospice and The Lodge. Memorials may be sent to McLaughlin Research Institute in Great Falls, MT.